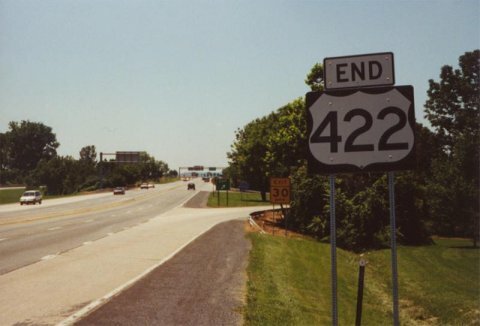 END signage at the US 322/422 interchange. Photo by Alex Nitzman. 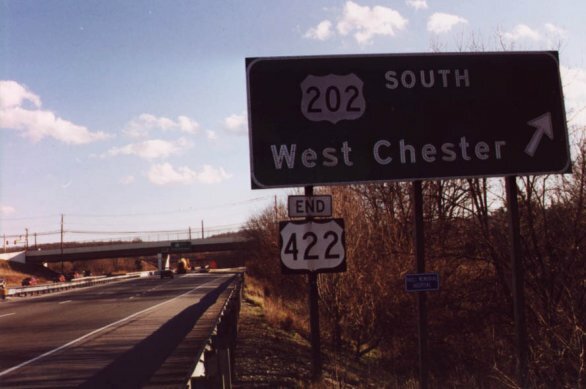 US 422 ends at US 202 in King of Prussia, PA, outside of Philadelphia. Photo by Alex Nitzman.